NEW YORK, NY (September 28, 2016) — Tonight at 9PM ET, President Obama will appear at a previously-taped town hall broadcast on CNN focused on issues impacting veterans and the US military. This event continues to build on the national conversation jumpstarted by Iraq and Afghanistan Veterans of America’s (IAVA) historic Commander-in-Chief Forum in New York with Hillary Clinton and Donald Trump earlier this month on NBC that was viewed by over 14 million households. “CNN anchor and Chief Washington Correspondent, Jake Tapper, will sit down with the President to discuss veterans, national security and foreign policy issues impacting the US military. Obama will field questions from the audience made up of active duty servicemembers, veterans and the military community. The one-hour primetime event will take place in Fort Lee, Virginia, home of the Combined Arms Support Command.” IAVA, the nation’s leading voice for the Post 9/11 Generation of Veterans, encourages it’s members and supporters to watch the event and submit questions online using the hashtag #IAVA. 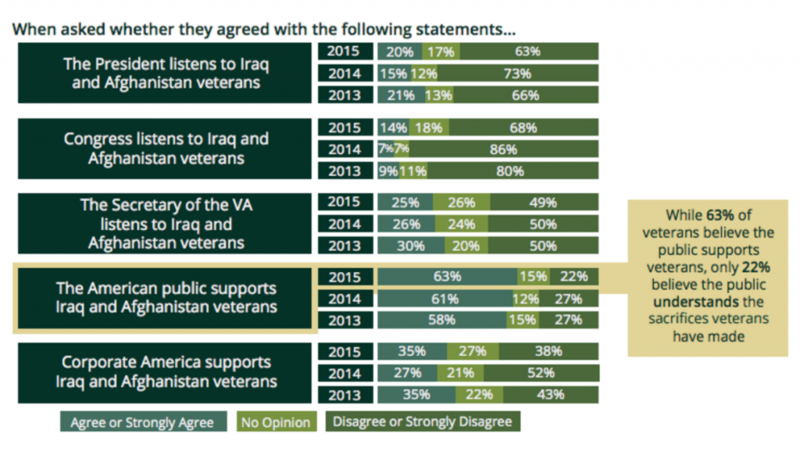 In recent IAVA member survey, only 20% of IAVA members felt that the President listens to Iraq and Afghanistan veterans. Other survey questions showed equally high levels of dissatisfaction with the performance of the Obama administration, the VA and Congress. The full IAVA member survey can be viewed at www.IAVA.org/research. IAVA also looks to CNN moderator Jake Tapper, an anchor experienced on military and veterans affairs, to press the President hard for answers and to listen to veterans questions posted online.IAVA CEO and Founder Paul Rieckhoff and will appear on CNN in the 10 PM ET hour, immediately after the town hall event, to offer reaction and analysis. Rieckhoff also recently sat down with the Washington Post to offer perspective on the Obama legacy for veterans. For more information on IAVA’s detailed recommendations for the President, all elected officials and candidates and the nation, please see our Policy Agenda. This agenda includes calls for reform measures at the VA, the prioritization of women veterans, cracking down on for-profit schools taking advantage of the Post-9/11 GI Bill, and implementation of the critical measures of the Clay Hunt SAV Act.